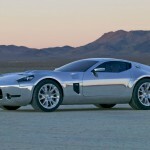 2005 Ford Shelby GR 1 Concept: Sold for $82,500! This concept 2005 Ford Shelby GR 1 established itself as one of the most dramatic and contemporary 2-seat, fastback, front-engine supercars. 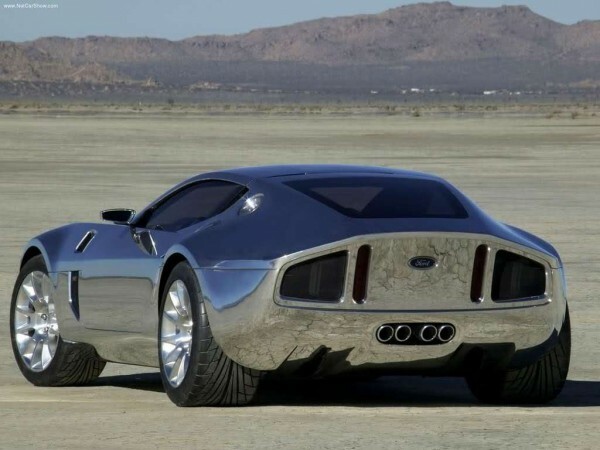 This stunning prototype has an impressive V10 605 HP and 390-cubic/inch all-aluminum engine, road tested suspension of Ford GT and incredible polished aluminum body. 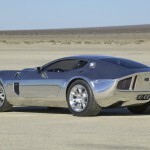 The 2005 Ford Shelby GR 1 owns an aluminum chassis from the Ford GT but it is 2 feet shorter than the famous sportscar and with a wheelbase nearly 7 inches shorter as well. The track width has been reduced by more than an inch. There are butterfly doors that leads into the racing interior with carbon shells seats and fixed backs that are connected to the sill and tunnel trough space frame attachments of aluminum. The removable Alcantara comfort inserts are inserted in the seats for every occupants’ body type. The heart of this supercar Ford Shelby GR-1 is the biggest and baddest engine of all, the renowned 427. 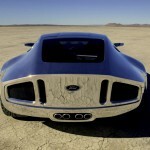 It is created by the Ford engineers with all-aluminum V10 block for the Ford Shelby Cobra concept. This 6.4-liter, 390 cubic inch engine, it is actually adapted from Ford’s MOD engine family. 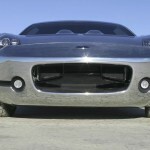 It delivers the raw power with its 605HPr and 501 foot/pounds of torque, without the aid of turbo or supercharging. 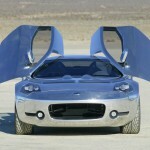 2005 Ford Shelby GR-1 Concept Platform Model it was sold for $82,500 by Ford Motor Company. Proceeds to Benefit the Juvenile Diabetes Research Foundation. However, as a platform concept model, this vehicle doesn’t contain an engine, interior or drivetrain. 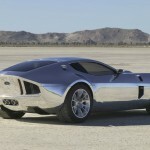 Finally, check out the Ford Mustang 1 concept!